Joining us for a series of Very Handsome shows this October is London DJ/producer SBTRKT. The Mysterious, mask-wearing man is fresh from releasing one of the year’s most talked-about albums so far in his debut, self-titled record (Young Turks/Remote Control). 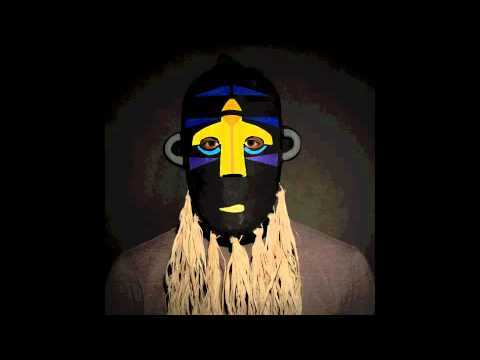 Since the SBTRKT album first landed on our desks at Handsome, we’ve been spinning that baby on repeat. Clean, dense and Catchy-As-Hell, SBTRKT creates sounds with considered production, layered with emotive, poignant vocal tracks. SBTRKT has hand-picked the best elements of two decades worth of dance sub-genres to make one of the year’s most stunning electronic albums. These tracks are sewn together effortlessly; telling a tale – from the ballad-esque ‘Trials of the Past’ to the self-conscious reflections of ‘Never Never’ and the squelchy pop of the album’s first single ‘Wildfire’. No wonder the release was named JJJ Album Of The Week recently. “This release is the culmination of a longer period of constant writing and collaboration, tracks on previous EPs were written as singular pieces. This record is much more of a whole project, more representative of my thoughts and ideas as an artist and each track was completed with the aim to be coherent together”, says SBTRKT. Appearing at Música/Tumbalong in Sydney, as well as additional club performances in Melbourne and Perth, SBTRKT will be performing the kind of stunning DJ set that has earned him the reputation of putting on a Dynamic Show – made famous at festivals such as Coachella and Bestival.